Les Miserables. rain will make the bulaklak grow. 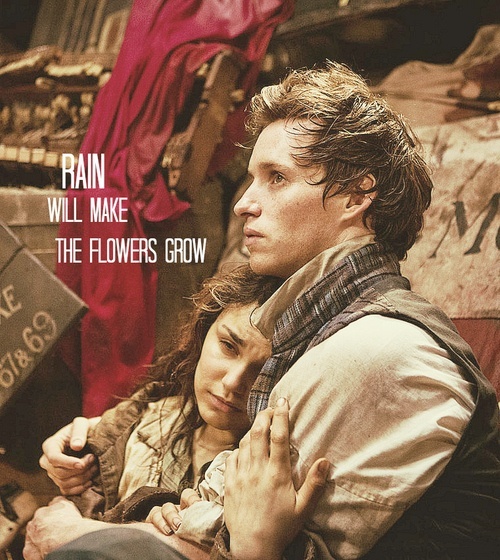 Wallpaper and background images in the Les Miserables club tagged: les misérables movie 2012. This Les Miserables fan art might contain sign, poster, teksto, pisara, kalye, lungsod tanawin, urban na setting, green beret, mga espesyal na pwersa, and pili kawal.